Birthday card for my darling Robert in 2012. 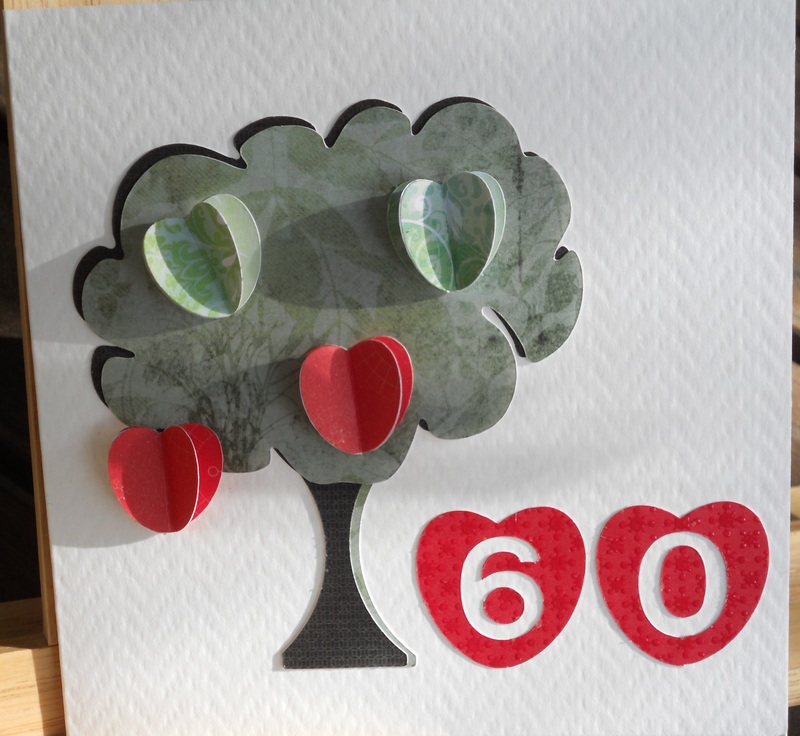 As we are planning to plant rows of apple trees, I thought it may be a great idea to make a card of our orchard! Trees and apples were cut out using the BlackCat Cougar. To construct the Apples, cut out 3 apples, glue each half to another apple to form a 3-D effect.